Intravenous (IV) administration of narcotics and sedatives is the preferred mode of delivery among anesthesiologists, whose priorities are rapid onset, profound effects, ease of titration, and rapid recovery. 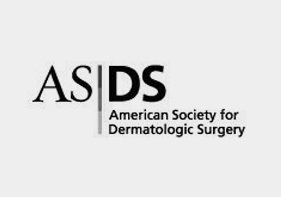 Dermatologic surgeons have different clinical priorities, including safety in a clinical setting without an anesthesiologist in attendance and prolonged mild effects of the medications. Dermatologists tend to do painless but relatively lengthy outpatient procedures using local anesthesia without an anesthesiologist. 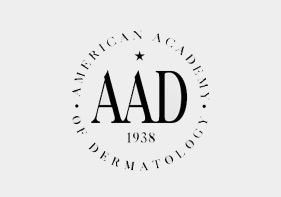 Dermatologists require anxiolytic (antianxiety) drugs, with minimal sedation. For example, the benzodiazepines decrease anxiety at doses below those that produce sedation. Because tumescent local anesthesia is so effective at eliminating pain, anxiolytics need not produce sedation or analgesia. Oral sedatives such as lorazepam or clonidine are well suited for surgery totally by local anesthesia. Lorazepam (1 mg) and clonidine (0.1 mg) have clinical onset in 20 to 30 minutes, last for 4 to 6 hours, and are essentially devoid of clinically significant respiratory depressant effects. By definition, tumescent liposuction totally by local anesthesia does not require parenteral (intramuscular [IM] or IV) sedation or narcotic analgesics. Tumescent liposuction is often performed without sedatives and virtually never requires narcotic analgesics. 1. The night before surgery, patients take lorazepam, 1 mg by mouth, to prevent insomnia and decrease anxiety. 2. On the day of surgery, approximately 20 to 30 minutes before beginning tumescent infiltration, patients usually receive 0.1 mg of clonidine and 1 mg of lorazepam. 3. Clonidine is withheld if the blood pressure is too low (systolic 100 mm Hg or less, diastolic 50 mm Hg or less). 4. Lorazepam is withheld if the patient feels too sedated from the previous day’s lorazepam or does not want to take a sedative. 5. No other ancillary sedatives are used routinely. If a patient has any history of vasovagal near-syncope or fainting, immediately after an IV access is established, a total dose of 0.3 to 0.4 mg of dilute (1 mg/10 ml) atropine is given to prevent a vasovagal event. This prophylactic approach has proved very effective and has not been associated with adverse side effects. To avoid the risks of respiratory depression in office surgery, parenteral sedatives (e.g., benzodiazepines) and narcotic analgesics (e.g., codeine, fentanyl, meperidine) should be avoided whenever possible before, during, and after surgery. Sedatives and narcotic analgesics are rarely needed after tumescent liposuction and should be avoided for the first 18 to 24 hours after tumescent anesthesia. When properly performed, the prolonged local anesthesia of the tumescent technique usually obviates the need for postoperative analgesics other than acetaminophen. When sedatives or narcotics are administered with an anesthetic, there is always a risk that an adverse drug interaction will precipitate a toxic reaction. For example, except for lorazepam, the benzodiazepines might inhibit hepatic cytochrome P450 3A4 (CYP3A4) enzymes. This enzymatic inhibition may result in elevated plasma lidocaine concentrations. Diazepam should not be administered postoperatively to reduce the risk of lidocaine-induced seizure. Postoperative diazepam may actually increase the risk of lidocaine toxicity. Benzodiazepines and lidocaine may impair each other’s metabolism by competitive inhibition of CYP3A4. Diazepam can depress respiratory drive, impair ventilation, and result in respiratory acidosis. Although IV diazepam can be used to treat an acute seizure caused by lidocaine toxicity, respiratory depression may result from excessive plasma concentrations of diazepam. A physician must always be present to ensure adequate respiratory function when diazepam is given to control or prevent a seizure. Patients should be given explicit instructions not to use sedatives or narcotic analgesics in the immediate postoperative period. Patients who self-medicate or overmedicate with sedatives or analgesics may develop symptoms that are mistaken for signs of lidocaine toxicity, such as confusion, dysarthria, unsteadiness or ataxic gait, excessive sleepiness, and even nausea or vomiting. In my earliest days of doing tumescent liposuction, all patients received IM meperidine and IM diazepam. Eventually I realized that these drugs were used merely because of my anxiety that patients would be anxious during surgery. By being more gentle and thorough during tumescent infiltration, the need for systemic analgesics and sedatives can be eliminated. Most patients are more comfortable when they receive a mild anxiolytic by mouth. The goals of perioperative sedation for tumescent liposuction are to (1) maximize patient comfort and (2) minimize risks of adverse drug reactions. This chapter describes the perioperative medications used for tumescent liposuction. The drugs most often used include clonidine, lorazepam, and atropine, and less common drugs include midazolam, labetalol, and fentanyl. An understanding of the modern pharmacologic and physiologic effects of the adrenergic agonists epinephrine and clonidine and the adrenergic blockers propranolol and labetalol requires some knowledge about the classification of adrenergic receptors. The term adrenergic (Latin renes, kidneys; Greek erg, work) is an adjective that refers to (1) the effects of chemicals derived from the adrenal gland, (2) the nerve fibers that produce adrenaline-like substances, and (3) hormonelike chemicals related to adrenaline. Epinephrine and norepinephrine, jointly referred to as catecholamines, do not penetrate cell membranes (Figure 24-1). Catecholamines affect cell metabolism by first binding to specific receptors on the extracellular surface. This triggers a transmembrane signal transduction via a guanine nucleotide binding (G) protein, which in turn activates a cascade of intracellular reactions that causes the physiologic response. Adrenergic receptors bind to specific G-protein subtypes. The binding of a beta (β) agonist to an adrenergic receptor results in the stimulation of the enzyme adenyl (adenylate, adenylyl) cyclase. In contrast, when an alpha2 (α2) agonist binds to an adrenergic receptor, it inhibits the G protein, which in turn either inhibits or has no effect on adenylate cyclase. The idea of more than one adrenergic receptor was proposed in 1948, when researchers observed that norepinephrine, epinephrine, and isoproterenol have differential effects on smooth muscle.2 A dichotomy was noted between excitation and inhibition. The Greek letter α (alpha) was chosen to designate receptors on smooth muscle that mediate excitatory responses, and β (beta) designated receptors that mediate inhibitory adrenergic effects. Pharmacologists were able to rank order adrenergic drugs in terms of their relative α effect and relative β effect. The potency of α agonists, that is, drugs that have an excitatory effect on smooth muscle contraction, can be rank ordered from the most potent to the least potent: epinephrine ≥ norepinephrine >> isoproterenol. The rank order of β agonists, that is, their potency in causing inhibitory effects on smooth muscles, is isoproterenol > epinephrine ≥ norepinephrine. This classification became widely accepted when it was shown that certain drugs could act as specific adrenergic receptor blockers. For example, phenoxybenzamine was shown to block the α effect of nerve impulses and the pharmacologic effect of α agonists. Similarly, propranolol produced β-receptor blockade. Nonselective β-adrenergic antagonists include propranolol (blocks β1 and β2 receptors with equal affinity) and nadolol (Corgard). A newer, more useful nonselective adrenergic antagonist is labetalol (Trandate), which blocks both α and β receptors (see later discussion). 1. The β1 receptors are equally affected by epinephrine and norepinephrine. 2. The β2 receptors are affected much more by epinephrine than norepinephrine. Clinically, β1-adrenergic receptors are most importantly associated with the myocardium. At present, no selective β1-adrenergic agonists exist. Selective β1-adrenergic antagonists include metoprolol (Lopressor) and atenolol (Tenormin). Selective β2-adrenergic agonists include terbutaline (Brethine) and albuterol (Proventil), which relax bronchiolar smooth muscle in the treatment of asthma and obstructive pulmonary disease. Pindolol (Visken) is a relatively selective β2-adrenergic antagonist with slight β1-agonist activity used for treating hypertension in patients with mild bradycardia or diminished cardiac reserve. Alpha1 and Alpha2 Dichotomy. The α-adrenergic receptors are responsible for diverse functions, including pain perception, effects on levels of consciousness, cardiovascular homeostasis, and regulation of metabolism. Different subtypes of α-adrenergic receptors are recognized and classified on the basis of their anatomic location and physiologic and pharmacologic functions. The anatomic location of the vast majority of α2-adrenergic receptors is presynaptic; α2-receptor stimulation has an inhibitory effect on the release of norepinephrine from sympathetic nerve terminals. The postsynaptic α1-adrenergic receptors mediate an augmentation of norepinephrine effects. Some α2-adrenergic receptors are also found on the postjunctional surfaces. For example, the surfaces of adipocytes have α2 receptors that inhibit isoproterenol-induced glycolysis and lipolysis when stimulated by selective α2 agonists. The α2 receptors located postsynaptically in the brain probably mediate the antihypertensive effects of clonidine. Clonidine is an α-adrenergic agonist that has a more potent α2 effect than α1 effect. Clonidine has many useful applications in tumescent liposuction surgery. Stimulation of α1-adrenergic receptors produces constriction of systemic arteries and veins; it also mediates hepatic gluconeogenesis. Phenylephrine (Neo-Synephrine), a selective α1 stimulator used as a nasal decongestant, can be given intramuscularly to prevent hypotension associated with spinal anesthesia. Stimulation of α2-adrenergic receptors is important for platelet aggregation, smooth muscle contraction, neurotransmitter release, and regulation of sympathetic nerves within the central nervous system (CNS). The rate-limiting step in the biosynthesis of epinephrine is the hydroxylation of tyrosine, which is subject to negative feedback inhibition by catechol compounds (see Figure 24-1). The catecholamines epinephrine and norepinephrine are the ultimate mediators of the sympathetic nervous system, which controls cardiovascular homeostasis, states of consciousness, and cellular metabolism. Epinephrine is a circulating hormone derived from the adrenal gland, whereas norepinephrine is released from adrenergic nerve terminals. When combined with a local anesthetic, the α1-adrenergic receptor stimulation of epinephrine causes capillary vasoconstriction. Epinephrine is responsible for the profound vasoconstriction and consequent hemostasis essential to the tumescent technique. Adverse Reactions. Simple adverse reactions to therapeutic epinephrine can be caused by either a pharmacologic hypersensitivity or an immune-mediated allergic reaction to an additive. More complex adverse reactions involve drug interactions in which therapeutic doses of epinephrine interact with other agents. Despite life being impossible without endogenous epinephrine, some patients have a true clinical hypersensitivity to therapeutic doses of epinephrine. In these patients, tachycardia is precipitated by a routine dose of epinephrine, the result of a labile or hypersensitive cardiac sinus pacemaker, sinoatrial node, or myocardial conduction system. Other patients may have an allergic-like hypersensitivity to the bisulfite, an antioxidant often added to pharmacologic preparations containing epinephrine. The most common adverse reaction to epinephrine is the normal pharmacologic response to the rapid absorption of a therapeutic dose. For example, a rapidly absorbed dental injection of lidocaine with epinephrine may induce a pharmacologic supraventricular tachycardia. Patients may be told incorrectly that a pharmacologic tachycardia is an allergic reaction. 1. Refer the patient to an allergist for a formal evaluation of epinephrine or bisulfite allergy; if no evidence of allergy is found, the patient can consider tumescent liposuction. 2. Explain to the patient that the anticipated cosmetic benefits may not warrant the potential health risks of liposuction without tumescent hemostasis (Case Report 24-1). A third alternative is less reasonable: do liposuction without epinephrine. Other Interactions. Clinically significant drug interactions with local anesthetics usually involve either lidocaine metabolism via hepatic CYP3A4 or epinephrine–adrenergic agonist effects with other vasoactive drugs. Epinephrine is contraindicated in patients with significant cardiovascular disease, peripheral vascular disease, hyperthyroidism, and pheochromocytoma, as well as in those taking the drugs listed next. Monoamine oxidase inhibitors (MAOIs), tricyclic antidepressants, butyrophenones such as droperidol (Inapsine), and phenothiazines may interact adversely with epinephrine to produce severe hypotension or hypertension. Oxytocin-like drugs that induce labor interact with epinephrine-like drugs to produce malignant hypertension and cerebrovascular accidents. Cocaine, which blocks the reuptake of norepinephrine, interacts adversely with lidocaine, by reducing the seizure threshold, and with epinephrine, by augmenting systemic vasoconstriction and tachycardia. Hyperthyroidism, induced endogenously, iatrogenically, or by drug abuse, can result in adverse interactions with epinephrine and precipitate supraventricular tachycardia. Beta Blockers. Epinephrine stimulates both the α-adrenergic and β-adrenergic receptors, whereas propranolol blocks β-adrenergic receptors. When these two drugs are given simultaneously, the net effect may be unopposed α-adrenergic receptor stimulation, which reportedly can lead to peripheral vasoconstriction and severe hypertension. Because this specific drug interaction has been infrequently reported, only certain individuals may be predisposed and susceptible to severe hypertension resulting from an epinephrine-propranolol interaction. A few cases have been reported of severe hypertension after injection of epinephrine-containing local anesthetics in patients taking propranolol. In my experience, however, no adverse events have occurred when patients receiving propranolol are given tumescent local anesthesia. Prospective liposuction patients may be taking propranolol for either migraine headaches or hypertension. With relatively large doses of very dilute epinephrine for tumescent anesthesia, no adverse drug interactions have occurred with concomitant use of beta blockers (e.g., propranolol). I do not ask my patients to discontinue propranolol before tumescent liposuction. The amount of lidocaine and epinephrine can be reduced and serial liposuction performed. Although clinical judgment must be used, in general it is not necessary to interrupt propranolol treatment of migraine headaches or hypertension as a prerequisite to tumescent liposuction. Presumably the rate of systemic absorption of epinephrine from tumescent subcutaneous fat is too slow to permit a significant adverse interaction. Interactions. Interactions between epinephrine and beta blockers can cause toxicity. The determining factor seems to be the rate of epinephrine absorption into the systemic circulation. A rapid absorption of subcutaneous epinephrine is more likely to result in a toxic reaction than when the epinephrine is absorbed much more slowly. 1. A relatively high concentration of epinephrine (1:1000) is injected subcutaneously to treat a suspected allergic reaction. 2. A moderate epinephrine concentration (1:100,000) is injected into highly vascular tissue, such as buccal mucosa for local anesthesia in dentistry, ocular mucosa with blepharoplasty, or for a regional nerve block. When epinephrine is injected subcutaneously, 5 to 15 minutes pass before the onset of maximum cutaneous blanching and vasoconstriction. Thus, within the first few minutes after subcutaneous injection, significant epinephrine can reach the systemic circulation and precipitate an abrupt hypertensive drug interaction with secondary bradycardia. The route of drug delivery and the rate of drug absorption are decisive factors in determining the relative risk of toxicity. With the slow systemic absorption of epinephrine associated with the tumescent technique, the risk of an adverse interaction (manifested by hypertension) between epinephrine and beta blockers is small. In my patients taking beta blockers, careful blood pressure monitoring has shown no evidence of postoperative hypertension. As noted, patients being treated with nonselective beta blockers for hypertension or migraine headaches should be maintained on these medications. A cautious approach to such patients is to limit both the number of areas treated and the total dose of epinephrine given during a session of tumescent liposuction. When using a local anesthetic that contains epinephrine, caution is always necessary. In spontaneously hypertensive rats pretreated with a cardioselective beta blocker, no problem occurred after an intraperitoneal (IP) dose of epinephrine. Pretreatment with a noncardioselective beta blocker and IP epinephrine, however, produced systemic vasoconstriction and pulmonary congestion.16 Cardioselective beta blockers include metoprolol Lopressor) and atenolol (Tenormin). Labetalol (Trandate) represents a relatively new class of drugs that blocks both α1-adrenergic and β-adrenergic receptors. An IV formulation is available (5 mg/ml). This drug can be useful for treating the epinephrine-associated sinus tachycardia (115 to 130 beats/min) that can occur with relatively large doses of tumescent anesthesia in patients who are especially sensitive to epinephrine. Orthostatic hypotension is a potential side effect of labetalol. The IV dose of labetalol used to treat perioperative sinus tachycardia is 2 mg by slow push every 10 to 15 minutes. To reduce the heart rate to less than 110 beats/min, 5 mg or less usually suffices. Significant tachycardia has not occurred and labetalol has not been used since clonidine (0.1 mg) was instituted as a standard preoperative sedative. Clonidine is given orally to liposuction patients whose blood pressure is 105/60 or greater or whose pulse rate is 70/min or greater. Clonidine (Catapres) is a highly selective α2-adrenergic agonist with several desirable attributes as an oral sedative for surgery by local anesthesia. Clonidine (0.1 mg) in combination with the benzodiazepine lorazepam (1 mg), both given orally, is now the preferred perioperative sedative for tumescent liposuction totally by local anesthesia. Clonidine was originally synthesized in 1962 for possible use as a nasal decongestant, but this application produced sedation, hypotension, and bradycardia. Although excellent for the treatment of hypertension, clonidine’s use was limited by the resulting sedation, which was eventually found to be synergistic with anesthetics and analgesics. No clinically significant respiratory depression occurs, except at extreme overdoses of more than 1000 times a therapeutic dose. Alpha2 Adrenergic Receptors. The adrenoreceptors are examples of transmembrane G-protein–coupled receptors. G proteins are ubiquitous transmembrane signaling mediators.19 The adrenoreceptors can be classified according to their G proteins’ action on adenylate cyclase and sensitivity to ribosylation (i.e., the enzymatic transfer of the ribosyl group from inosine to adenine) by Bordetella pertussis toxin. All the α2-adrenoceptors are coupled to G proteins that (1) are sensitive to B. pertussis toxin and (2) either have no effect on or support inhibition of adenylate cyclase.20 In contrast, β adrenoceptors are coupled to G proteins that (1) are not pertussis toxin sensitive and (2) stimulate the activation of adenylate cyclase. Certain imidazole derivatives have sympathomimetic properties. The imidazole nucleus is also found naturally in the amino acid histidine, as well as in histamine, biotin, and the purines (uric acid, adenine, caffeine, xanthine). Pharmacokinetics. Clonidine is a lipid-soluble molecule that is rapidly and completely absorbed after oral administration. Clonidine rapidly crosses the blood-brain barrier. Clinical effects become apparent 20 to 40 minutes after oral administration, and peak plasma concentrations are achieved within 60 to 90 minutes. Clonidine is available in 0.1-mg, 0.2-mg, and 0.3-mg tablets. For outpatient tumescent liposuction surgery, clonidine is given as a single 0.1-mg oral dose; hypotension or bradycardia is rarely a problem at this dose. Clonidine has a volume of distribution of about 2 L/kg and is 20% bound to plasma proteins. It is less than 50% metabolized by the liver; the rest is largely excreted unchanged via the kidneys, with about 20% excreted in the feces. The elimination half-life is 6 to 20 hours and is prolonged by renal insufficiency. Clonidine clearance is 1.9 to 4.3 ml/min/kg. Sedation can last up to 12 hours. Antihypertensive Effects. Clonidine is especially effective for treating severe or malignant hypertension. Many patients with malignant hypertension given 0.1 mg of clonidine in the emergency room respond so well that they do not require IV therapy when admitted to the intensive care unit. Because of its sedative effect, clonidine is usually not acceptable among ambulatory patients for long-term treatment of hypertension. Clinical doses of α2-adrenoreceptor agonists do not depress respiratory drive and are not associated with hypoxia or hypercapnia. The lack of respiratory depression is one of the principal benefits of clonidine as a sedative. Narcotic Analgesic Effects. Clonidine both supplements and minimizes the need for narcotic analgesics and thus minimizes the risks of respiratory depression. Because clonidine might prolong the risk of opioid respiratory depression, fentanyl doses should be reduced when given with clonidine.44 Respiratory depressant effects of α2 agonists are minimal.45 Typical clinical doses of clonidine produce sedation without causing respiratory depression. Bradycardia and Hypotension. The cardiovascular effects of clonidine include bradycardia, hypotension, and an antidysrhythmic effect, all of which are advantageous in the clinical setting of tumescent liposuction. By inhibiting the release of norepinephrine from peripheral sympathetic presynaptic nerve endings, α2 agonists lower the heart rate. Although clonidine’s ability to lower pulse rate and blood pressure is desirable, excessive bradycardia and hypotension are potentially dangerous side effects. Usually, however, bradycardia is a useful side effect of clonidine that counteracts the tachycardic effect of the epinephrine in tumescent anesthetic solutions. Without clonidine, approximately 10% of my patients would experience a sustained heart rate of more than 110 beats/min; less than 2% would have a tachycardia of 120 to 130 beats/min, requiring IV labetalol to reduce heart rate. Patients have never required labetalol when clonidine is given before tumescent liposuction. Hypotension is a potential side effect of clonidine, but 0.1 mg of clonidine is rarely associated with clinical hypotension. Nevertheless, clonidine should be used with caution if the preoperative systolic blood pressure is less than 100 mm Hg. Miscellaneous Effects. Evidence indicates that postoperative α2-adrenergic stimulation attenuates protein catabolism.56 Clonidine significantly reduces postoperative shivering.57 In children, premedication with clonidine given orally (4 μg/kg) or rectally (2.5 μg/kg) provides effective preoperative sedation and postoperative analgesia.58,59 By reducing the salivary flow, α2 agonists may cause a sensation of dry mouth. Tumescent Liposuction. 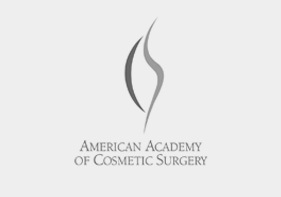 The sedative effects of α2-adrenoceptor agonists are ideal for tumescent liposuction totally by local anesthesia. Clonidine has significantly reduced the incidence of intraoperative tachycardia that had resulted from epinephrine absorption after tumescent infiltration. Patients with a history of hypertension may arrive in the operating room with elevated blood pressure despite ongoing treatment for hypertension. Clonidine (0.1 mg) has lowered the blood pressure to acceptable levels, avoiding cancellation of surgery. Clonidine acts synergistically with benzodiazepines to produce excellent sedation and anxiolysis. For outpatient tumescent liposuction surgery, clonidine is given as a single 0.1-mg oral dose; more than 0.1 mg should be avoided. On the one occasion that a patient was given a second 0.1-mg dose of clonidine, the result was a 3-hour delay before discharge because of a prolonged episode of orthostatic hypotension. If a patient requires additional sedation, it is preferable to give a benzodiazepine such as lorazepam 1 mg by mouth, or alternatively a small dose of IV midazolam in 1-mg to 2-mg increments. Discovered in the 1950s, the benzodiazepines’ calming effect on test animals became apparent at doses less than those producing sedation or ataxia. This first suggested that benzodiazepines might be useful for anxiolytic effects. Other therapeutic properties of the benzodiazepines include anticonvulsive, muscle relaxation, and sedative-hypnotic effects. The benzodiazepines’ pharmacologic action is associated with gamma-aminobutyric acid (GABA), the principal inhibitory neurotransmitter in the mammalian CNS.60 The high-affinity benzodiazepine receptor is coupled to GABA receptors in such a way that benzodiazepines enhance GABA effects.Flumazenil is a benzodiazepine antagonist with a high affinity for benzodiazepine receptors but little or no interaction with GABA. Flumazenil blocks the agonists’ interaction with the receptors. Benzodiazepines are metabolized by the liver and eliminated in the urine. Any factor that affects liver function, such as age or disease states, can affect benzodiazepine pharmacokinetics. The benzodiazepines, including lorazepam, diazepam, and midazolam, are highly bound to plasma proteins. Benzodiazepines produce reliable anterograde amnesia but no significant retrograde amnesia. Patients’ tendency to self-medicate with sedatives and narcotic analgesics after tumescent liposuction is especially troubling to surgeons. Self-medication may explain two of my patients’ telephone calls the night after surgery to complain about ataxia, confusion, dysarthria, nausea, and vomiting. These symptoms of benzodiazepines are worrisome because they overlap the symptoms of early lidocaine toxicity. On the two occasions I evaluated patients in the emergency room to rule out lidocaine toxicity, plasma lidocaine concentrations were 3.1 μg/ml or less, well below the toxic threshold of 6.0 μg/ml (Case Report 24-2). When patients are warned explicitly not to self-medicate with sedatives or narcotic analgesics, the incidence of “pseudotoxicity” disappears. Some dermatologists prescribe sublingual diazepam (Valium) tablets for their surgical patients. The absorption kinetics are not well known, however, and sublingual diazepam has approximately the same rapid systemic absorption as the IV form. These patients require the same level of clinical observation and monitoring as those receiving an equal IV dose. Based on clinical experience, lorazepam is currently the benzodiazepine of choice for tumescent liposuction. In terms of pharmacologic effect, lorazepam is similar to diazepam, but the two differ significantly in pharmacokinetics. After an IV injection, lorazepam has a short distribution half-life but a rather long elimination half-life of 10 to 20 hours. Thus the effects of lorazepam are of longer duration than those of diazepam. One milligram of lorazepam appears to provide sufficient perioperative sedation for tumescent liposuction. Patients are instructed to take 1 mg of lorazepam the night before surgery to avoid insomnia but not to take it for 24 hours after surgery. Lorazepam is the only benzodiazepine not metabolized by cytochrome P450 enzymes and therefore is less susceptible to adverse drug interactions with lidocaine. In its initial metabolic reaction, lorazepam is conjugated to its glucuronide, which has no CNS activity, and is excreted in the urine. Nausea and vomiting are side effects of high doses of benzodiazepines (e.g., lorazepam) as well as lidocaine. A 2-mg dose of lorazepam produces more nausea than a 1-mg dose. Clonidine in combination with lorazepam provides good anxiolysis while allowing a reduced lorazepam dose, which minimizes the incidence of nausea and vomiting. After a 4-mg dose of IM lorazepam, amnesia persists for 4 to 6 hours.65 Lorazepam is the benzodiazepine that provides the most consistent and longest-lasting amnesia. Midazolam is widely used perioperatively for its sedative, amnesic, and anxiolytic effects. Fewer than 3% of liposuction patients require IV midazolam during tumescent infiltration to supplement oral doses of clonidine and lorazepam. If the patient is particularly anxious, however, 1 mg of IV midazolam is given and repeated once if necessary. At a pH of less than 4, midazolam exists in an open-ring form that is highly water soluble. At physiologic pH the ring closes, and the molecule becomes highly lipid soluble and readily crosses the blood-brain barrier. The water solubility of midazolam is unique among the benzodiazepines. The other benzodiazepines are not soluble in aqueous solution unless propylene glycol is added to the solution to maintain solubility in the bottle. When injected, propylene glycol–containing solutions cause a stinging and burning sensation and possibly a localized venous thrombophlebitis, especially with diazepam. The incidence of thrombophlebitis after IV diazepam administration is 15% to 39%.66,67 One major advantage of midazolam is its lack of IV irritation. With short distribution and elimination half-lives, midazolam has a very short duration of action after a single IV dose.68,69 It has a hepatic extraction ratio of about 50% and is associated with significant first-pass metabolism; thus oral doses of midazolam are not efficient. Typical IM doses for adults are 5 mg, which is reduced to 2 or 3 mg in adults over 60 years old. Erythromycin. Midazolam and erythromycin utilize CYP3A4 for hepatic metabolism. Erythromycin is a potent inhibitor of CYP3A4 and has been associated with midazolam toxicity when the two drugs are used concomitantly. Elevated plasma midazolam concentrations were associated with unconsciousness after an 8-year-old boy received midazolam (0.5 mg/kg), followed by an IV infusion of erythromycin.70 Similar effects can be expected from other potent inhibitors of CYP3A4, such as ketoconazole. Metabolism. Midazolam is metabolized by at least three different cytochrome P450 enzymes.71 In addition to CYP3A4, the isoenzymes 3A3 and 3A5 are also important in the hydroxylation of midazolam. Whereas 3A3 and 3A4 are hepatic isoenzymes, 3A5 occurs predominantly in the kidney. Knowledge of the specific cytochrome P450 enzymes that metabolize a drug may help the clinician anticipate clinical situations that decrease the rate of drug metabolism, such as drug interactions in combined therapy. Serum from critically ill patients inhibits the metabolism of midazolam.72 Serum samples from five critically ill patients were incubated with microsomes prepared from three human livers. The enzymatic activity of CYP3A4 was determined in vitro by adding midazolam to the microsomal preparation and measuring the rate of midazolam metabolism. Compared with serum from normal volunteers, serum from critically ill patients added to the liver microsomal preparation resulted in a significant decrease in the rate of midazolam metabolism. Patients with extensive trauma, such as excessive liposuction, might be more susceptible to the dose-related effects of midazolam, such as respiratory depression. Diazepam. Midazolam and diazepam directly depress the myocardium, exerting similar negative chronotropic and inotropic actions.73 In cardiac myocytes, influx of calcium ions across the sarcolemma via l-type Ca++ channels is the trigger for Ca++ release from the sarcoplasmic reticulum, which activates the myofibrils. Both midazolam and diazepam have a direct myocardial depressant effect at the cellular level, which is mediated by an inhibition of the sarcolemmal l-type Ca++channel. A vasovagal near-syncopal episode in a supine patient (e.g., in an operating room) can be a frightening experience. Already supine, the patient usually has a prolonged episode of nausea, diaphoresis, and a feeling of impending doom but no loss of consciousness. In contrast, a vasovagal attack in a sitting or standing person is usually brief, rapidly progressing from sweating, clamminess, and lightheadedness to loss of consciousness, then recovery. Atropine is a competitive antagonist of acetylcholine and inhibits postganglionic responses to cholinergic nerve stimulation. Vagal reflex with cardiac slowing or asystole can be eliminated by atropine blocking the vagal influence at the sinoatrial node in the right atrium. Atropine can also facilitate atrioventricular nodal conduction by the same mechanism. Atropine blocks the effects of excessive vagal stimulation and its subsequent reflex bradycardia. This vagolytic effect is most noticeable in healthy, young and middle-age adults in whom vagal tone is most prominent. In infants and geriatric patients, atropine may not be effective in accelerating heart rate. Atropine can produce innocuous cardiac dysrhythmias without significant symptoms. As part of the preoperative history and physical examination, all patients are asked if they have ever been extremely lightheaded or have fainted. This question is a good predictor of vasovagal syncope in the operating room during tumescent liposuction in an alert and fully conscious patient. Any history of fainting or lightheadedness is sufficient indication to premedicate the patient with 0.3 to 0.4 mg of atropine. Before surgery, as soon as the IV access is established, the patient is given IV atropine. An effective protocol consists of preparing a syringe by adding 1 mg of atropine (1 mg/ml) to 9 ml of bacteriostatic saline, which yields atropine at 1 mg/10 ml. A prophylactic dose of IV atropine is typically 0.3 to 0.4 mg. Cocaine augments the toxicity of lidocaine by lowering the seizure threshold. It also predisposes to epinephrine toxicity by increasing systemic vasoconstriction and possibly tachycardia. The first patient arrived holding a box of tissue and soon became abusive, demanding narcotics even before the tumescent infiltration. When narcotics were refused, she departed angrily. Later that day she was admitted to a hospital with a diagnosis of cocaine psychosis. A year later, when a male patient arrived carrying a box of tissue, my suspicions were aroused. Stating that I had not ordered a preoperative urinalysis, I requested a urine sample. The surgery was uneventful, but the urine sample was positive for cocaine metabolites. Thyroid supplements have a reputation for promoting weight loss. Some patients intentionally ingest excessive doses of levo-thyroxine (Synthroid) to accelerate their weight loss. One such patient showed the difference in clinical response to the slow absorption of epinephrine in a dilute solution compared with its rapid absorption in concentrated commercial preparations (Case Report 24-3). During the preoperative history, all patients should be asked if they are taking thyroid medications. All patients who are taking thyroid supplements should have triiodothyronine and thyroxine (T4) levels determined as part of the preoperative laboratory examinations. Approximately 5% of such patients have blood levels that are above the therapeutic range. There is little risk of an adverse drug interaction between thyroid dosages and tumescent anesthesia as long as T3 and T4 levels are within normal limits. Conscious sedation is attained by using a combination of local anesthesia with IV opioids, sedatives, and anesthetics. IV administration of these drugs, however, is not synonymous with conscious sedation. Drugs such as fentanyl, midazolam, and propofol are used routinely to provide IV general anesthesia. Deep sedation and general anesthesia require a higher level of physiologic monitoring than conscious sedation. The problem with using conscious sedation is that a safe degree of sedation can progress to loss of protective reflexes, airway obstruction, and cardiopulmonary impairment. The term systemic anesthesia encompasses both conscious sedation and general anesthesia. Systemic anesthesia of any kind is more dangerous than simple local anesthesia with the patient fully alert and conversant. The greatest danger is inadequately monitored conscious sedation. No easily recognizable clinical boundaries exist between light and deep sedation or general anesthesia. Conscious sedation can imperceptibly become deep sedation. Conscious sedation and general anesthesia are equivalent in terms of the risks of hypoxia and the necessity for sophisticated cardiopulmonary monitoring. 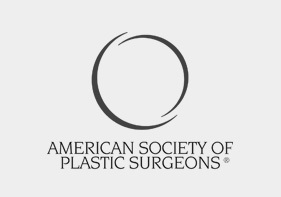 Any surgical procedure that is feasible under local anesthesia, such as tumescent liposuction, should not be done routinely under deep sedation or general anesthesia merely for convenience. Tumescent liposuction totally by local anesthesia in an office setting has a long history of safety. On the other hand, virtually every death associated with liposuction has involved the use of systemic anesthesia. 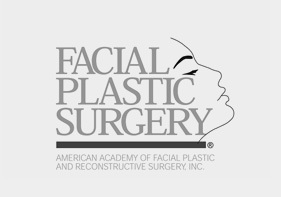 Narcotics such as fentanyl, sedatives such as midazolam, and anesthetics such as propofol are often used for conscious sedation during liposuction. Achieving conscious sedation with such drugs is most appropriately carried out in a sophisticated, fully accredited surgical facility with an anesthesiologist providing patient care. Fentanyl, propofol, and midazolam are usually unnecessary for tumescent liposuction. Fentanyl is a narcotic analgesic that is 60 to 80 times more potent than morphine. Although narcotic analgesics are rarely needed for tumescent liposuction, surgeons should be familiar with their pharmacologic effects. According to the records of our state-licensed surgicenter pharmacy, fentanyl is used for tumescent liposuction in less than one in every 500 patients. Occasionally a patient is not satisfied unless a narcotic is administered. Although patients are told that narcotics are unnecessary and virtually never used, during a procedure a patient may demand a narcotic. If a patient states, “I think I need 50 micrograms of Sublimaze,” the surgeon can either (1) acquiesce, administer some fentanyl, and finish the surgery; or (2) simply refuse and face a hostile, unhappy patient. In these situations, I have acquiesced and given 25 μg of fentanyl. In less than 0.1% of patients, the initial tumescent infiltration proves to be insufficient, and all efforts to supplement tumescent anesthesia with additional infiltration are unsuccessful. A narcotic analgesic (e.g., fentanyl) then may be administered and the surgery completed. At low doses, fentanyl (Sublimaze) is the preferred narcotic analgesic because of its low incidence of nausea, vomiting, and orthostatic hypotension. Meperidine (Demerol) is undesirable as an anesthetic agent because of its potent effect as a direct myocardial depressant. Also, as with morphine, meperidine causes the release of histamine, resulting in vasodilation and hypotension. Furthermore, morphine can precipitate a fatal drug interaction if it is given to patients who are taking monoamine oxidase inhibitors (MAOIs). Respiratory depression is the most dangerous adverse effect of narcotics, with fentanyl and benzodiazepines producing a synergistic effect. Doses of fentanyl and midazolam that have no effect individually can cause apnea in as many as 50% of patients when given together. Fentanyl is highly lipid soluble, moves rapidly across the blood-brain barrier, and has a rapid onset of action. Because of its rapid redistribution after an IV dose, fentanyl has a relatively short duration of action. Fentanyl has a large volume of distribution. The body’s adipose tissue acts as large reservoir for fentanyl. Attempts to increase the intensity of effect by increasing the dose by tenfold produce an eightfold increase in the time that the plasma concentrations of fentanyl remain above the threshold for respiratory depression. Thus fentanyl is short acting at low doses but becomes long acting at high doses. The redistribution half-life of fentanyl is so short that a relatively large dose of fentanyl will be completely redistributed before the plasma concentration has decreased to below the threshold for respiratory depression. In this situation, the peripheral stores are highly saturated, and the duration of respiratory depression depends on the slow elimination half-life of fentanyl. Fentanyl also demonstrates a wide range of variability of its pharmacokinetic parameters from patient to patient. Thus an occasional patient may experience toxicity at a surprisingly low dose. These facts, together with unsuspected drug interactions, explain the occasional unexpected death from apnea after fentanyl administration. Fentanyl is rapidly and extensively metabolized by CYP3A4. Fentanyl metabolism can be significantly impaired by competitive inhibition of hepatic enzymes with concomitant administration of other drugs. For example, use of alfentanil with erythromycin leads to delayed alfentanil elimination, delayed recovery, and prolonged postoperative respiratory depression because of competitive inhibition of CYP3A4.75,76 Cimetidine also prolongs fentanyl’s effect. Propofol (2,6-diisopropylphenol) is principally metabolized by the cytochrome P450 isoenzymes 2C9, 2A6, 2C8, 2C18, 2C19, and 1A2.78 No evidence indicates that propofol is metabolized by CYP3A4, the hepatic microsomal enzyme that is largely responsible for lidocaine metabolism. A recent systematic analysis of published and unpublished data has shown that propofol carries a significant risk for bradycardia, with potential for major harm despite prophylactic anticholinergics.79 Sixty-five published and 187 spontaneous reports to drug monitoring centers revealed that propofol had induced 1444 bradycardias, 86 asystoles, and 24 deaths. The risk of asystole is 1 in 660 propofol anesthetics. The risk of death from a propofol-induced bradycardia is an estimated 1 in 112 asystoles. Thus the risk of death from bradycardia is 1.4:100,000 propofol anesthetics. Propofol might be contraindicated in the presence of an increased risk for bradycardia, such as a history of vasovagal near-syncope, cardiac dysrhythmias, beta blockers, clonidine, laparoscopies, strabismus surgery, and very old or very young patients. Lidocaine significantly enhances the hypnotic effect of IV propofol in a dose-dependent manner.80 The dose of propofol necessary to induce hypnosis is reduced by 34% when 3 mg/kg of IM lidocaine is given. When lidocaine is injected into soft tissue before induction of anesthesia by IV propofol, the dose of propofol should be modified. Although propofol can induce seizures, the incidence of this complication is unknown.82-84 On the other hand, propofol can suppress lidocaine-induced seizures.85 This suggests that propofol might be useful in treating lidocaine toxicity; however, propofol might mask lidocaine neurotoxicity, which occurs at lower lidocaine blood concentrations than cardiovascular toxicity. Thus, if serious lidocaine toxicity does occur during concomitant use of propofol, the warning signs of seizure activity might not appear, and the first sign of lidocaine toxicity might be cardiac arrest. Propofol can induce seizures in an epileptic patient. I reviewed the case of an epileptic patient who developed status epilepticus after ultrasonic liposuction under IV propofol and tumescent lidocaine anesthesia. Because these drugs impair phagocytic function and depress immune response, a minor infection may develop into a fulminant one. Using nonpharmacologic techniques, such as encouraging maximum drainage of blood-tinged anesthetic solution from incision sites that have not been closed by sutures, is much more effective in reducing inflammation than using antiinflammatory drugs. From 4 to 7 days postoperatively, assuming all the incisions have healed well with no evidence of infection, patients may begin treatment with NSAIDs. An occasional patient will have a peculiar inflammatory response manifested either by unusual generalized soreness and tenderness or by swelling. This is often an idiopathic phenomenon but may occur when incision sites have healed and closed spontaneously before drainage was complete. After a careful clinical evaluation to rule out infection, an appropriate antibiotic is prescribed for a possible subclinical infection, along with ibuprofen, 400 to 800 mg three times a day, or prednisone, 10 mg daily. The beneficial response can be rapid and gratifying. A 1999 report of five liposuction-related deaths provided epidemiologic evidence that the greatest risk of death associated with liposuction surgery is the use of systemic anesthesia (conscious sedation or general anesthesia).87 All five patients received systemic anesthesia. There was no evidence of lidocaine toxicity. One patient, a 40-year-old female, died during liposuction under “conscious IV sedation” consisting of midazolam (5 mg), fentanyl (150 μg), methohexital (40 mg), and droperiodol (125 mg). The dosage of subcutaneous dilute lidocaine was 14.3 mg/kg. At 2.3 hours into liposuction and within 30 seconds after rotating the patient from a prone to a supine position, there was an abrupt onset of wide-complex infranodal bradycardia and subsequent unresponsive asystole. The association of liposuction deaths with systemic anesthesia is consistent with 95 liposuction-related deaths associated with surgeons who use systemic anesthesia.89 The greatest contraindication for a drug is a lack of any indication for its use. If systemic anesthetics are not necessary, they should not be used. 1. Dale HH: J Physiol 80:11, 1934. 2. Ahlquist RP: A study of adrenotropic receptors, Am J Physiol 153:586-600, 1948. 3. Lands AM, Arnold A, McAuliff JP, et al: Differentiation of receptor systems activated by sympathomimetic amines, Nature 214:597-598, 1967. 4. Emorine LJ et al: Molecular characterization of the human β3-adrenergic receptor, Science 245:1118-1121, 1989. 5. Clement K, Vaisse C, et al: Genetic variation in the β3-adrenergic receptor and an increased capacity to gain weight in patients with morbid obesity, N Engl J Med 333:352-354, 1995. 6. Widen E, Lehto M, et al: Association of a polymorphism in the β3-adrenergic receptor gene with features of the insulin resistance syndrome in Finns, N Engl J Med 333:348-351, 1995. 7. Walston J, Silver K, et al: Time of onset of non-insulindependent diabetes mellitus and genetic variation in the β3-adrenergic-receptor gene, N Engl J Med333:343-347, 1995. 8. Bloor BC, Hales TG: Sedatives and analgesics: from opioids to α2-adrenergic agonists and beyond, Semin Anesth 11:96-105, 1992. 9. Foster CA, Aston SJ: Propranolol-epinephrine interaction: a potential disaster, Plast Reconstr Surg 72:74-78, 1983. 10. Gandy W: Severe epinephrine-propranolol interaction, Ann Emerg Med 18:98-99, 1989. 11. Yasue H et al: Prinzmetal’s variant form of angina as a manifestation of alpha-adrenergic receptor-mediated coronary artery spasm: documentation by coronary arteriography, Am Heart J 91:148-155, 1976. 12. Van Herwaarden CLA et al: Effects of adrenaline during treatment with propranolol and metoprolol, Br Med J 2:1029, 1977 (letter). 13. Lampman RM et al: Cardiac arrhythmias during epinephrine-propranolol infusion for measurement of in-vivo insulin resistance, Diabetes 30:618-620, 1981.